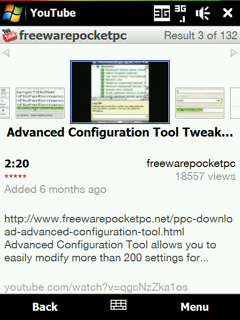 Browse YouTube, On the right panel there are url and embeded scripts. Get the embeded scripts so that YouTube video can be embeded and viewed by user. click Preview to test the result. ( I put larger space so that able to show you what is the XML end slash tag. Everyday, plentiful video clips are uploaded to YouTube.com. Somebody say that these videos will disappear soonest, due to obvious copyright infringement issues, and then, why not to download those good video clips and save to our computer/iPod/PSP before they're gone forever? Here I will show you to get around this possibility and copy videos from YouTube.com. 2) Copy the URL . 5) The .flv file is not a common multimedia file, you need a software called FLV player to play it. 6) Install the FLV player into your computer. 7) Select the video clip that you downloaded and play it. I like to you vixy.net to grab some movie for my pda ( 3gp or wmv format ). It is really nice. FLV to MPEG4 Conveter engine is now OpenSource.